Although many people, over the years, celebrities amongst them too, have been trying to defend the drug, emphasising its medical properties, its recreational use has always been questionable. The DEA on its official website describes the drug as ‘ mind-altering (psychoactive), produced by the Cannabis sativa plant. 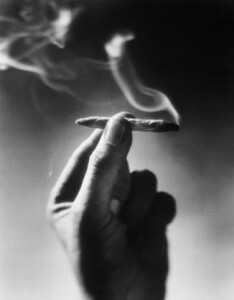 ‘The effects of marijuana on perception and coordination are responsible for serious impairments in learning, associative processes, and psychomotor behaviour (driving abilities). He added that due to the fact that overdosing from cannabis is not possible, it makes it look less harmful, often leading to young users totally disregarding its effects. He writes that using the drug long-term does raise the risks of cancer, heart attack and bronchitis and that using it while pregnant can significantly reduce the baby’s weight. Cannabis, is too often seen as a relatively ‘safe’ drug despite the fact that heavy cannabis users experience withdrawal symptoms just like heroin and alcohol addicts. The paper shows that those who try quitting cannabis use, often suffer from insomnia, depression, anxiety and appetite disturbances, amongst others. More interestingly, even after treatment, the study showed, that only less than half ex users can stay off the drug for six months. Regular cannabis use among teenagers does lead to long-term mental health problems and awareness should be raised within parents, teachers and professionals involved with children and teenageres. More information about drug use can be found here.